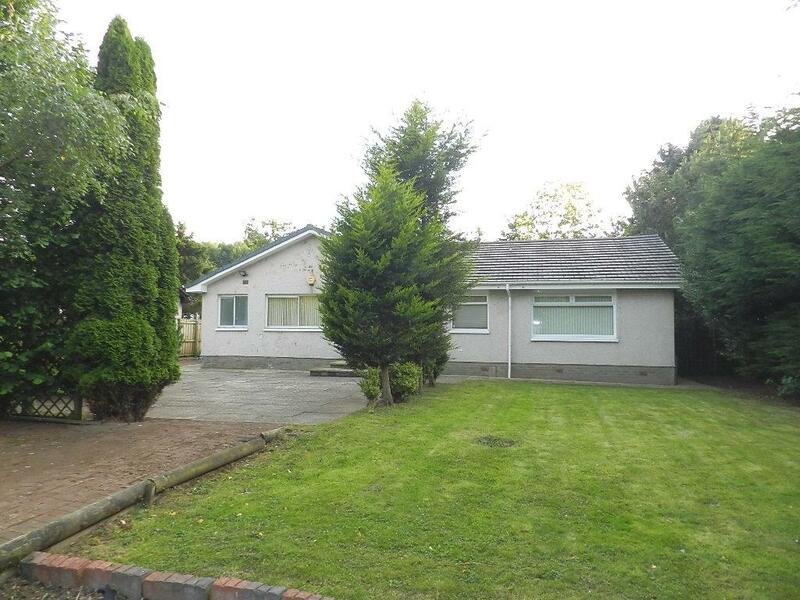 Nu-Move Lanarkshire are delighted to bring this charming detached Bungalow to the open market. Situated on a substantial plot, in the Clyde Valley just a short distance from the Garrion Bridge making commuting to Hamilton, Glasgow and the M74 Corridor very accessible. Internally and externally this property has an abundance of space and has great potential for a family or someone wanting living accommodation on one level. The property itself has a flow of natural light throughout and comprises: reception porch that gives access to the hallway, lounge, spacious fitted kitchen/diner, utility room, shower room, three good size bedrooms and a family bathroom with separate shower. Externally to the front and rear there are substantial mature gardens with a mixture of trees, shrubs, bushes and areas laid to lawn. There is a driveway giving ample off street parking. The property further benefits from double glazing, gas central heating and good storage. Viewing is essential to appreciate the location and potential this lovely bungalow offers. The Garrion Bridge is the 1st hamlet of homes as you drive down the Clyde Valley and is the most convenient for road links. The Clyde Valley is renowned for its variety of garden centres and scenic walks. Winding its way from junction 7 of the M74 motorway near Hamilton to the historic town of Lanark. The Valley has several villages with basic shopping amenities, schools, parks, sports facilities and several pubs and restaurants. The surrounding towns of Lanark and Hamilton offer a wide range of shopping facilities including retail parks, regular public transport by bus or train to Glasgow, Edinburgh and the surrounding towns. For those commuting by car the road network links with the M74 motorway both north and southbound and to the M8 motorway linking Glasgow and Edinburgh. Glasgow airport is easily accessible with the recently opened extension to the M74.